Samsung B3310 is a another cool phone from samsung. according to it's shape and colors this phone is very suitable for ladies. basically it's a 2G phone and has a slider full QWERTY keypad. the internal memory of this phone is 40MB and it allows memory cards. Samsung B3310 has bluetooth but wi-fi is not available. Samsung B3310 has 2MP camera and the maximum picture resolution is 1600x1200 pixels. it also supports video recording. Samsung B3310 has a FM radio with RDS and good media player. LG BL40 New Chocolate is a newest full touchscreen phone which announced in this month. it has a 4 inch capacitive touchscreen. even this is a 4 inch touchscreen it's bit lengthy touchscreen. also it allows multi touch. LG BL40 Chocolate is a 3g phone which allows 7.2MBp/s HSDPA. this phone has a S class UI and it's rotation can control via Accelerometer sensor. also LG BL40 has a Gesture controls and a proximity sensor. it has a MP4/DivX/XviD/H.263 support media player and Dolby Mobile sound enhancement system. the internal memory of this phone is 1GB and it supports up to 32GB memory cards. LG BL40 has both wi-fi and bluetooth. LG BL40 has a 5MP camera. this camera made with Schneider-Kreuznach optics technology and it has a LED flash. also it has a GPS receiver with A-GPS support. LG BL40 has a TV out and a FM transmitter as additional features. Nokia 6790 Surge is another newest text friendly mobile phone. this phone is very similar to Nokia 6760 Slide phone but features are different. Nokia 6790 Surge has slider design full QWERTY keypad. the display is 2.4 inch. 6790 supports 3G 3.6MBp/s HSDPA speed. the internal memory of this phone is 120Mb and it supports up to 8GB memory cards. also Nokia 6790 Surge has bluetooth but wi-fi is not available. the main camera of this phone is 2Mp and the maximum picture resolution is 1600x1200 pixels. also even this is a 3G phone, there is no video call camera. Nokia 6790 has a GPS receiver with A-GPS support. also it has AT&T Navigator. 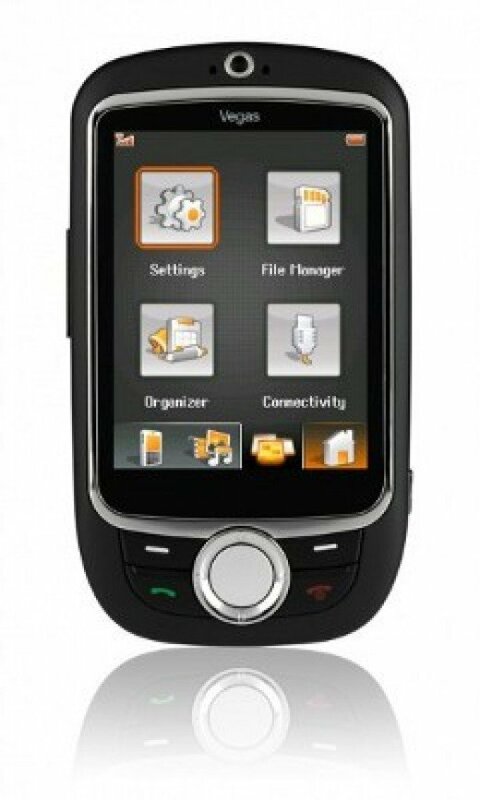 this phone comes with number of pre installed applications like Quickoffice and PDF Reader. if you have seen Nokia 5800 XpressMusic phone, you might think im going to posting about it. no this is not Nokia 5800 but this phone is very similar to 5800 in appearance and features. actually front appearance is same as Nokia 5800 but they have bit changed the back cover design. also this Nokia 5230 comes with various color back covers. also about the features, 5800 has a 3.2MP camera but 5230 has a 2MP camera. also there is no TV out in this phone. those are the difference between these phones. but the price of Nokia 5230 is slightly less than Nokia 5800. Pantech Matrix Pro is the first 3G phone which released in year 2009. it has great design and has two slider keypads. first keypad opens in vertical direction and it's a normal keypad. next keypad opens in horizontal way and it's a full QWERTY keypad. Pantech Matrix Pro supports 3.6 MBP/s HSDPA. Pantech Matrix Pro runs Microsoft Windows Mobile 6.1 Standard OS. it has 528MHz processor and 128MB RAM to properly run it. it has 2.4 inch display and 256MB internal memory. also it supports up to 16GB memory cards. Pantech Matrix Pro has bluetooth but wi-fi is not available. them main camera is 2 megapixel and it supports video recording. Pantech Matrix Pro has a GPS receiver with A-GPS support. also it has AT&T Navigator application. Read More! LG GB230 is newest phone which announced in year 2009 may. it is a very cheap phone and has very necessary features only. basically LG GB230 is a 2G phone and it has 2 inch display. they keypad opens in slider mechanism. LG GB230 has 6Mb internal memory and supports memory cards. it has bluetooth which allows both file sharing and headset. the camera is 2 megapixel and the maximum picture resolution is 600x1200 pixels. it also allows 15fps video recording. LG GB230 has a FM stereo radio with RDS. also media player allows mp3,wav and mp4 file types. Read More! 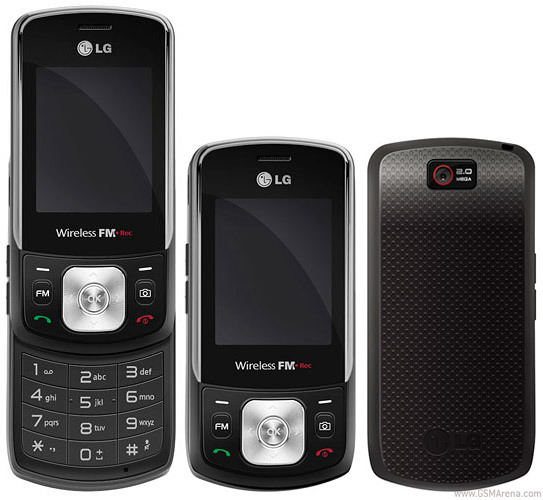 LG VX9600 is another newest LG phone which has many special features. VX9600 also called as LG Versa. this phone has a full QWERTY keypad and a touchscreen. Versa has a Accelerometer sensor to identify the rotation. LG Versa comes with a verizon package. this phone has a built-in feature to access Verizon's music store via VCAST music. VX9600 has a 3 megapixel main camera and it supports video recording. Versa is a 3G phone which supports HSDPA. also it has bluetooth and wi-fi. the internal memory of this phone is 82Mb and it supports up to 8GB memory cards. also this phone can use as a USB mass storage device without any drivers. most of people have a dream to become a Ferrari owner. but it's not easy because Ferrari is very expensive. but now there is a chance. a famous luxury mobile phone manufacturer Vertu manufactured this phone for Ferrari. even it's bit expensive, you can easily become a Ferrari owner. also this is not the first Ferrari phone. previously Vertu manufactured 1947 style ferrari phone. this is a 2G mobile phone and it has 4GB internal memory. also it allows memory cards. this phone has a 3 megapixel camera and it allows video recording. Verty Ferrari TI has both bluetooth and wi-fi. LG CF360 is a newest mobile phone which announced in year 2009. this is a slider design phone. even this is a 3G phone, it is very cheap but has all necessary features. the main camera is 1.3MP and it allows video recording. also it has a GPS receiver with A-GPS support. LG CF360 has 10mb internal memory and supports micro SD memory cards. it comes with pre installed 1GB memory card. this phone has a 2 inch 320 x 240 pixel resolution screen. LG CF360 has a good media player which supports many file formats. also it has 3.5mm audio jack. LG CF360 available with at&t package. 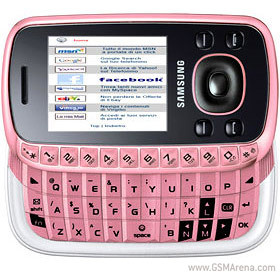 T-mobile G1 is the most famous mobile phone which runs with Android OS. also the manufacturer of this phone was HTC. 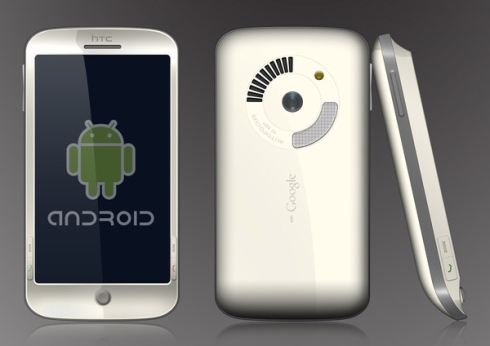 since HTC has a good experience with Android OS, they recently announced about a concept phone which runs Android OS. this phone has 10MP camera and may have more than 4 inch wide touchscreen. even now Nokia 5800 is a very famous phone and i think the main reason is it's features and the reasonable price. 5800 is a fullface touchscreen phone like apple iphone. recently Nokia announced the newest version of 5800, that is Nokia 5800 Navigation Edition. the features are almost similar to the previous phone but Navigation Edition has many new navigation features. also the appearance has bit changed, Nokia 5800 Navigation Edition has chrome outframe which gives very luxury look to the phone. also it comes with Regional maps and Lifetime pedestrian and vehicle voice-guided navigation licenses as new features. 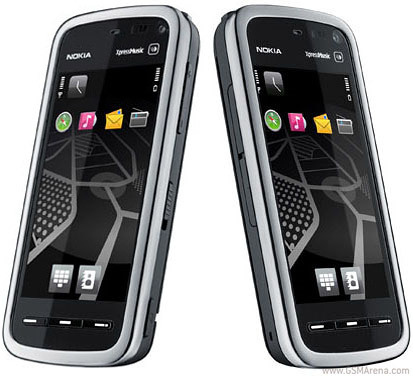 other features are similar to Nokia 5800 XpressMusic. LG GB270 is another newest cheap phone. it's a 2G phone and it has a 2 inch color disply. LG GB270 has 12MB internal memory and supports up to 2GB memory cards. it has bluetooth but wi-fi is not available. also the camera is VGA which supports 640 x 480 pixels picture resolution. this camera also supports video recording. LG GB270 has a very attractive feature, that is it has removable covers. the special thing is each cover is different from other in color and as well as in design. LG has introduced number of covers so every day you may get new design phone. also LG GB270 has a good FM radio with RDS. the battery life is also good. Nokia 6720 classic is another newest 5MP camera phone. nokia doesn't have many 5Mp camera phone models and most of them are very expensive. but Nokia 6720 classic is a featured phone which has reasonable price. it's a very good 3G phone which supports 10.2 Mbps HSDPA. also 6720 supports 2MBP/s HSUPA. Nokia 6720 classic has 2.2 inch display. it has good media player with 3.5mm stereo jack and TV out. the internal memory of this phone is 50MB and it supports up to 16GB memory cards. also it comes with 1GB memory card. 6720 has bluetooth and mini USB port but unfortunately wi-fi is not available. the main camera is 5MP and the maximum picture resolution is 2592x1944 pixels. like many Nokia 5Mp cameras, this camera has Carl Zeiss optics technology. also it has a LED flash and allow 15fps video recording. Nokia 6720 classic has Symbian S60 OS. it has ARM 11 600 MHz processor and 128MB RAM. this phone has a stereo FM radio with RDS. also it has GPS with A-GPS support. 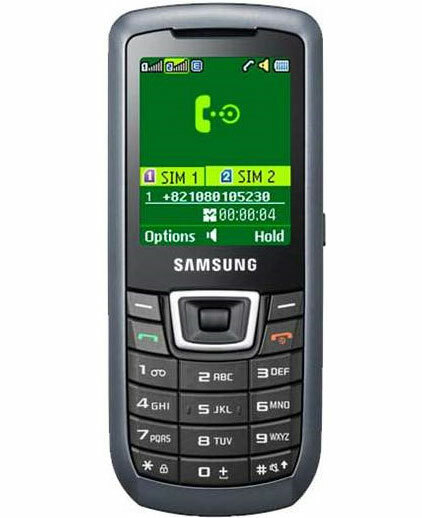 if you are looking for a cheap dual SIM phone other than a Chinese one, Samsung C3212 is your solution. it's a dual SIM phone which allows dual standby. Samsung C3212 has very critical features only therefore it's cheap. this phone is a 2G phone and it has a 2 inch color display. the internal memory is 15MB and it also supports up to 8GB memory cards. it has bluetooth and supports USB 2.0. also Samsung C3212 has a good stereo FM radio with RDS. unlike many other phones, you can record the FM radio. it has a VGA camera which also allows video recording. there is another funny application named Fake call in this phone. it allows you to get fake calls and cheat your friends. Read More! 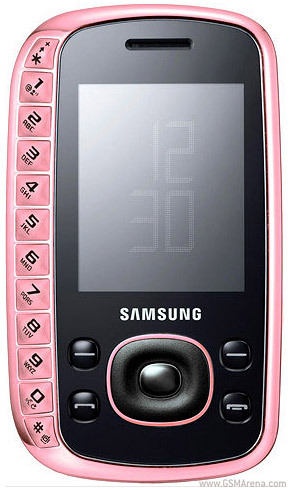 Samsung B7610 OmniaPRO is the latest mobile phone of samsung omnia series. the special thing is it has a full slider QWERTY keypad. B7610 OmniaPRO will be a big challenge to Nokia N97 and HTC phones. like previous Omnia phones, B7610 OmniaPRO is a full featured phone. it has 3.5 inch AMOLED resistive touchscreen, AMOLED means organic LED, they save power and gives very natural picture. the screen resolution is 800 x 480 pixels and it has Advanced R touchscreen technology. OmniaPro has an Accelerometer sensor and 3.5mm audio jack. also the music quality of this phone is very high because it has a new hardware called DNSe (Digital Natural Sound Engine). Samsung B7610 OmniaPRO has 1GB internal memory and supports up to 32GB memory cards. the main camera is 5Mp and the maximum picture resolution is 2592 x 1944 pixels. the camera application has Geo-tagging, panorama shot and best shot features. B7610 OmniaPRO is a very powerful machine because it has 800MHz processor. also it has graphic accelerator hardware. OmniaPRO runs with Microsoft Windows Mobile 6.1 Professional edition and it's upgradable. if you need just a phone or you don't have much money to spend for a phone, this is for you. Samsung E2120 is a very cheap phone which has 1.5 inch color display. the internal memory of this phone is 9MB and fortunately it also supports memory cards. Samsung E2120 has bluetooth but wi-fi is not available. it has VGA camera which is enough to take clear pictures. the maximum picture resolution is 640 x 480 pixels and camera allows video recording. Samsung E2120 has a stereo FM radio with RDS. also it has a great media player which allows MP3/MPEG4 file formats. Read More! Vodafone V-X760 is a full touchscreen phone which has 2.4 inch display but it's a cheap and simple phone which has limited features. basically Vodafone V-X760 is a 2G phone. the OS of this phone is special because it has their own interface called Vodafone 3D UI. you can connect to internet only via GPRS because wi-fi is not available. the internal memory is 20Mb and it supports up to 2GB memory cards. Vodafone V-X760 has 1.3Mp camera which supports video recording. it has a FM radio and MPEG4 player. 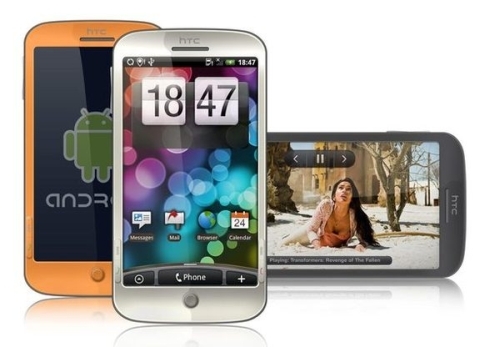 cheap mobile phones Mobile Phones - Buy cheap mobile phone deals on new mobile phones in UK. Compare mobile phones offers on nokia, motorola, samsung, lg and sony ericsson mobile phones. Read More! Motorola has very few full touchscreen phones. 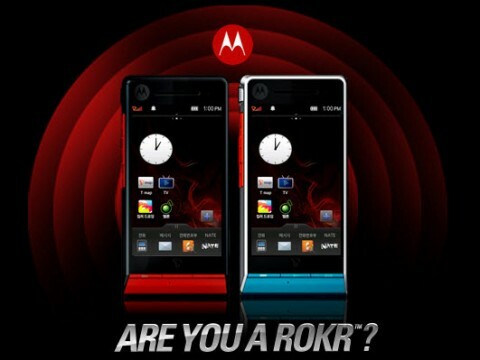 this new Motorola ROKR ZN50 maybe the most featured full touchscreen phone of Motorola. it has a slider keypad as well. Motorola ROKR ZN50 has 3.2 inch resistive touchscreen which has 240 x 427 pixels resolution. also this is a 3G phone which supports 7.2MBp/s HSDPA. ROKR ZN50 is best for entertainment. it has very quality media player with Built-in equalizer. also it has 3.5mm audio jack and built in stereo speakers. ROKR ZN50 has new technology named SRS WOW HD technology which allows to play HD videos with high quality sound. it has 48Mb internal memory and supports up to 16GB memory cards. wi-fi is not available in this phone but it has bluetooth. the main camera is 3.15MP and it also supports video recording. Motorola ROKR ZN50 has another new feature that is T-DMB2 TV tuner. it has a GPS receiver with A-GPS support and has SKT T-Map Navigation application. Sony Ericsson Naite is a stylish phone for reasonable price. it has very critical features only. also Sony Ericsson Naite is a 3G phone which supports HSDPA. it allows 3.6Mbps HSDPA connectivity. it has 240 x 320 pixels resolution 2.2 inch display. the internal memory of this phone is 100MB and it supports up to 8GB memory cards. the main camera is 2.0Mp and it has 1600x1200 pixels maximum resolution. the camera also supports video recording. Sony Ericsson Naite has a FM radio with RDS support. another special thing of this phone is it's a member of sony ericsson's GreenHeart eco-friendly mobile phone series. Naite made with eco-friendly materials and it has a CO2 calculator application. LG has manufactured number of full touchscreen phones. now they have their own theme for them. LG 3D or rotatable touch UI is one of them. 3D UI allows to rotate the interface in 3D way according to touch sensor or when you turn it. LG's newest theme is S-class UI and LG GM730 is the first phone which comes with this UI. this phone was announced in year 2009 February. it has 3 inch resistive touchscreen. GM730 is a 3G phone which supports 7.2MBp/s HSDPA. it also has wi-fi and bluetooth. the internal memory of this phone is 32MB and it supports up to 16GB memory cards. also GM730 has high quality 5MP camera. this camera is not similar to other LG 5MP cameras because it made with a new lens named Schneider-Kreuznach. unlike many LG phones GM730 runs with Microsoft Windows Mobile 6.1 Professional OS and it has 528MHz processor to run it properly. LG GM730 has a GPS receiver with A-GPS support. internet explorer and document viewer comes as additional applications. 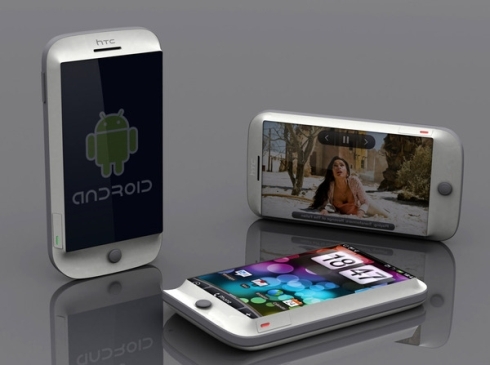 HTC Magic is another newest phone which runs with Google Android OS. as you can see the appearance is almost similar to the T-mobile G1 phone and features are almost similar. HTC Magic announced in year 2009 February and released in may. it's a 3G phone which supports 7.2 MBP/s HSDPA. HTC Magic has 3.2 inch capacitive touchscreen and it supports multi-touch. it has an Accelerometer sensor and Trackball as well. also HTC Magic has good hardware, 522MHz processor and 288MB RAM. the internal memory of this phone is 512Mb and it supports up to 16GB memory cards. both bluetooth and wi-fi available in this phone, but bluetooth is for headset only. (not internet or file transfer). HTC Magic's main camera is a 3.15Mp one and the maximum picture resolution is 2048x1536 pixels. it also supports video recording. GPS is available in this phone but A-GPS is not available. also it has a Digital compass. BlackBerry Curve 8520 is the newest phone of BlackBerry Curve series which announced in year 2009 July. curve 8520 may be cheaper than other phones because it has limited features. it's a 2G phone but has many new features. BlackBerry Curve 8520 has a full QWERTY keypad and a Touch-sensitive optical trackpad. the display is 2.64 inches and the resolution is 320 x 240 pixels. curve 8520 has good music features. it has great multimedia player, dedicated music keys and 3.5mm audio jack. the internal memory of this phone is 256MB and it supports up to 16GB memory cards. even this is a 2G phone it allow you to high speed internet access via wi-fi or bluetooth. BlackBerry Curve 8520 has 2Mp camera which supports video recording as well. the stand-by time is up to 408h and the talk time is 4h. LG announced about this phone in year 2009 July, and it will be available in September. LG GT500 Puccini is a 5Mp camera phone which has full face touch screen. it has 3.0 inch touch screen. like many LG phones LG GT500 Puccini has A-Class Touch interface. also it has an Accelerometer sensor. LG GT500 Puccini is a 3G phone which supports 3.6MBp/s HSDPA. it has both wi-fi and bluetooth. the internal memory is 32MB but it supports up to 16GB memory cards. the main camera is 5MP which supports 2592 x 1944 pixels maximum picture resolution. camera comes with a LED flash and the camera application has geo-Tagging feature. LG GT500 Puccini has a built-in GPS receiver with A-GPS support. also it has a stereo FM radio with RDS. Samsung recently launched another new full touchscreen phone. 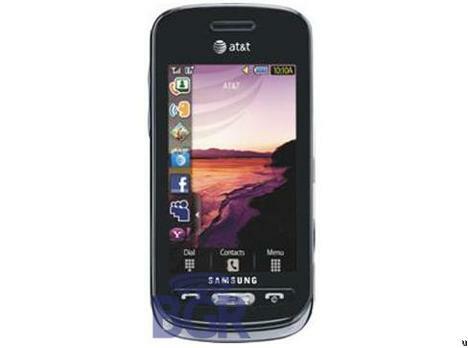 Samsung A887 Solstice is a 3G phone which supports HSDPA. this is a cheap and mid class phone but has lot's of valuable features. Samsung A887 Solstice has 3.0 inch touch screen. the screen resolution is 240 x 400 pixels and it has an Accelerometer sensor to identify rotation. the internal memory of this phone 189Mb and it supports up to 16GB memory cards. wi-fi is not available in this phone but it has bluetooth. the main camera of Samsung A887 Solstice is 2Mp which supports 1600x1200 pixels picture resolution. it has a good GPS receiver with A-GPS support. also google maps is installed. Sony Ericsson Jalou is a newest phone of sony ericsson. they announced about this phone in year 2009 august. Jalou is a flap type phone which has number of new features. basically it's a 3G phone which supports 3.6Mbp/s HSDPA connectivity. it has two displays, 2 inches main display and 1.3 inch front monochrome display. also it has an Accelerometer sensor. the internal memory of this phone is 100MB and supports up to 8GB memory cards. the main camera of Sony Ericsson Jalou is 3.15MP and it also allows video recording. also the camera application has geo-tagging feature. 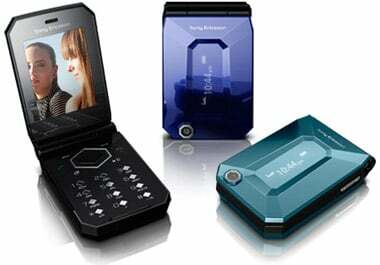 Sony Ericsson C901 is not a new phone, it's a very famous sony ericsson 5Mp camera phone. 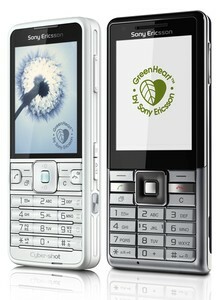 they recently launched it's newest version as Sony Ericsson C901 GreenHeart. even the features are same, the appearance is different from C901. this new phone is also a 3G phone which supports HSDPA. unlike previous phone Sony Ericsson C901 GreenHeart has an Accelerometer sensor. the internal memory is 120Mb and it allows up to 8GB memory cards. like previous C901, C901 GreenHeart has 5mp camera. the maximum picture resolution is 2592 x 1944 pixels. the camera has high quality xenon flash which allows to get quality pictures. also the camera application has Geo-tagging , face and smile detection, smart contrast and red-eye reduction features. unfortunately C901 GreenHeart doesn't have a secondary camera and video calls are not available. also GPS is not available in this phone but it comes with pre-installed Google maps application. the reason for name this phone as GreenHeart is this phone is a eco-friendly phone. it made with eco-friendly materials and has special application and sensor to calculate CO2 precentage of the air. 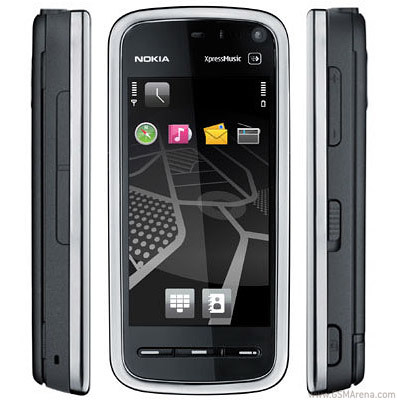 Nokia 5800 XpressMusic was a very successful phone and it was the first Nokia full touch screen phone. 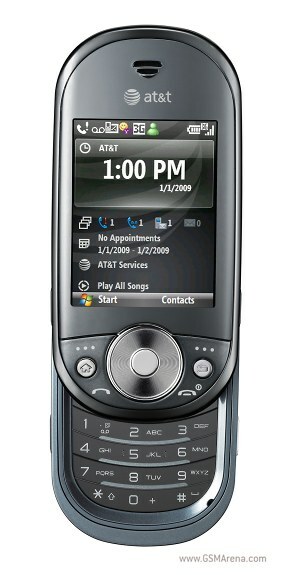 the second phone was N97 but it was not successes as they thought. recently Nokia launched their third full touch phone 5530 XpressMusic. it's a 2G phone and has limited features. but cheaper than others. Nokia 5530 has 2.9 inch resistive touch screen. like other new phones it has a Proximity sensor and a Accelerometer sensor. also 5530 allows handwriting recognition feature. it has 70mb internal memory and comes with 4GB memory card. you can insert up to 16GB memory cards to this phone. even this is not a 3G phone it allows fast internet access via wi-fi or bluetooth. 5530 has 3.5mm audio jack and mini USB port. you can even charge the phone via mini USB port. the camera is similar to the 5800 camera, it's a 3.15Mp and the maximum resolution is 2048x1536 pixels. the camera comes with a LED flash. Nokia 5530 runs with Symbian S60 OS v9.4. it has 434MHz processor and 128Mb RAM. GPS is not available in this phone.